I really like peanuts! My family and I often eat an Indonesian snack called Rempeyek, which is a deep fried, battered peanut cracker and I was probably craving one when I made this font. 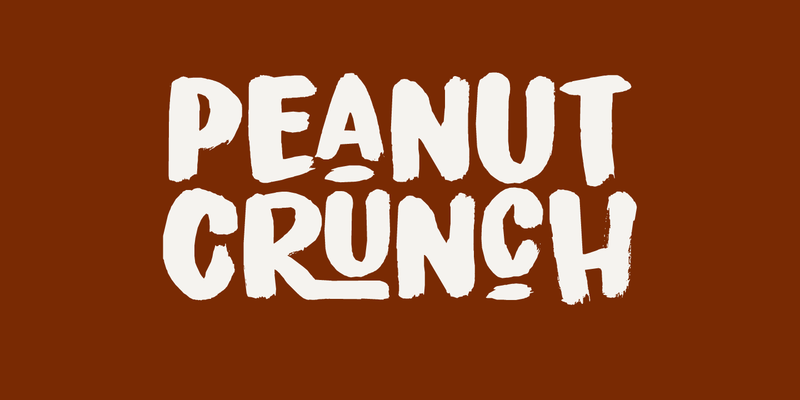 Peanut Crunch is a hand painted display font. It comes with some alternates and a bunch of ligatures for you to play around with.